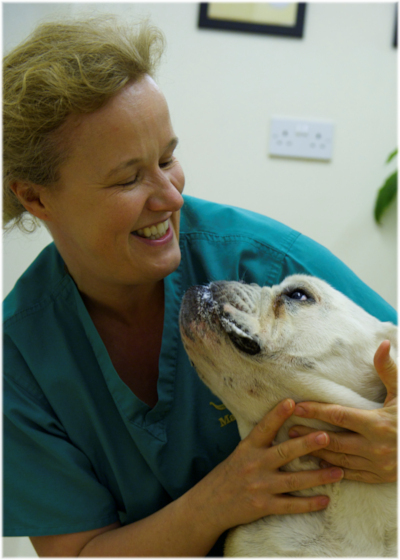 Viking Vets - Denise Allsop - Your local vet based at Chevening, Station Road, Henbury, Bristol BS10 7QQ. Denise graduated with distinction from Liverpool University in 2001. Her first job was in Wrexham North Wales and after 18 months she moved to a small animal practice in Newport, South Wales. She worked there for a number of years and in 2008 completed the ESVPS Feline Practice Certificate, which expanded her understanding and interest of cats. In 2011 the whole family moved back to Bristol to be nearer family and home. Denise started work at Viking Vets in January 2014 and now works 2.5 days per week, which fits around her young family. 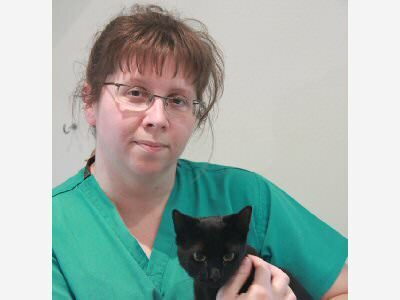 Denise has a particular interest in feline medicine and enjoys the variety and challenge that feline cases can present. In addition she is a keen soft-tissue surgeon. Outside of work Denise is kept busy by her two children, an ageing Burmese cat called Willow and a bouncy cocker spaniel named Darwin. When time allows she is an avid reader from sci-fi to romantic novels and will often become lost in a book. Denise enjoys gardening and baking cakes for the family to enjoy.